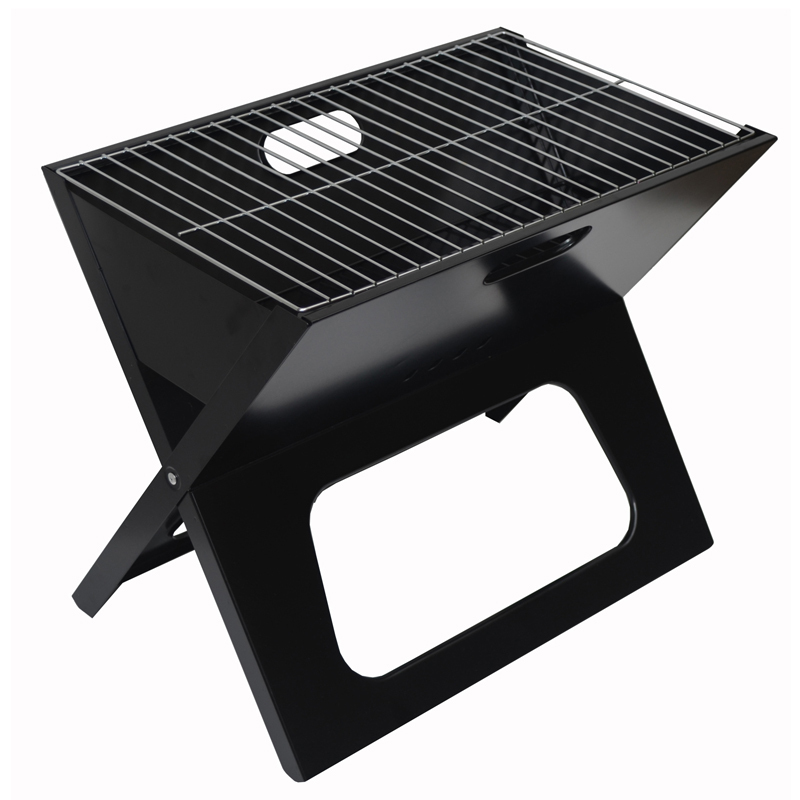 Foldable charcoal grill with an elegant design. Simple to set up, the one piece design is elegant and functional. 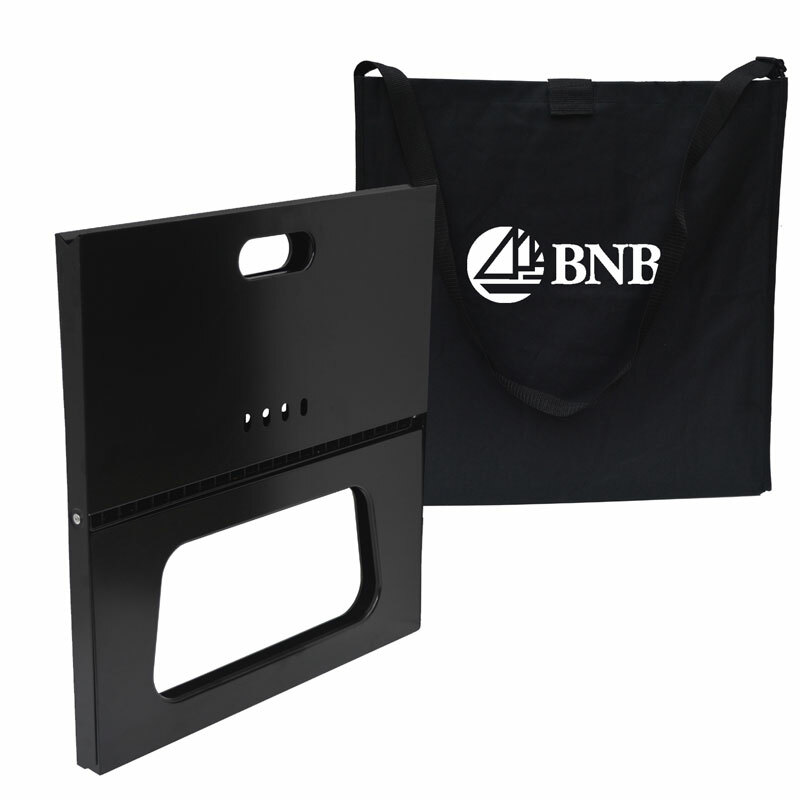 Includes enameled metal barbecue, chrome grill top 18.5" wide x 11" deep, charcoal grate 18.5" wide x 5.5" deep, and carry tote with handle. Folds flat for transport to size 19"x 19" x 1".